At the end of the year, once testing is over and kids have lost their minds are ready for summer, it's the perfect time to pull out the messy science experiments to review all the fun skills you've learned this year! 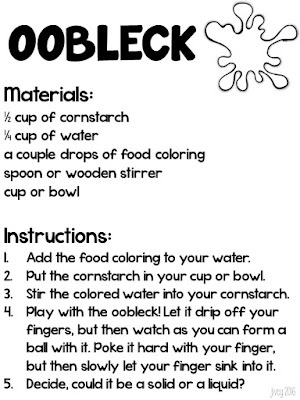 One of my favorite activities to do with kiddos of ALL ages is to make OOBLECK! If you've never made oobleck, you are in for a treat. It can get a little messy, but it is the BEST sensory experience! 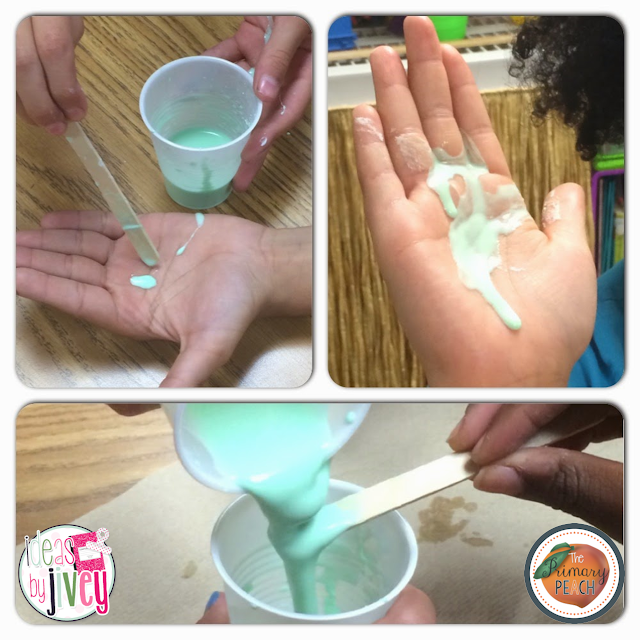 Oobleck has properties of a solid and a liquid (great review of matter!) and it's easy to make (measuring skills review!) and actually easy to clean up- if it gets on the carpet, let it dry completely and then it can be vacuumed up easily, as it turns into a dry powder. To start the lesson, read the great book by Dr. Seuss, Bartholomew and the Oobleck. As I mentioned above, oobleck has properties of a solid and a liquid: it will take the shape of its container like a liquid, but with force (like a hit, poke, or squeeze) it acts like a solid! It can be rolled into a ball, but it can also flow and drip like a liquid. Oobleck is a non-Newtonian fluid. Your kids will LOVE all the oobleck excitement! 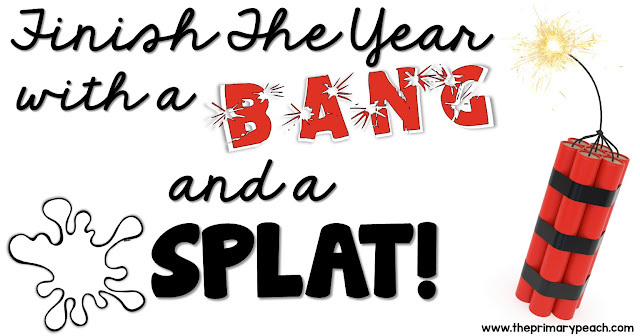 It's a great way to finish the year with a bang- and a splat! :) Have fun!